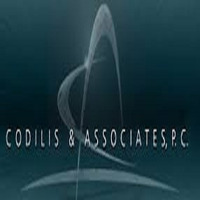 Founded in 1977, Codilis & Associates is a full-service law firm with offices in Burr Ridge, Illinois. Priding itself in offering superior customer service, accountability, and flexibility, Codilis and Associates offers loss mitigation, bankruptcy, litigation, and real estate services. With regard to real estate, Codilis & Associates offers a full spectrum of legal services including representing lenders and GSEs in bank-owned real estate closings, prosecuting foreclosure actions in all 102 counties of Illinois, and resolving eviction actions while taking the lender and tenant into consideration. The firm also represents developers in code violation and municipal enforcement actions and supports homeowners in buying, selling, or building homes. An authorized title agent, Codilis conducts title curative work to clear title issues, ensuring clean marketable titles are delivered to buyers. One of the oldest and largest real estate firms in Illinois, Codilis and Associates leverages its extensive network to ensure comprehensive and timely closing of transactions. A consistent supporter of local and national nonprofit organizations, Codilis has donated to Autism Speaks, Egbok Mission, Family Shelter Service, World Vision, and the Illinois Bar Foundation.